Opened in May 2016 in a former storage warehouse, the Museum of Russian Impressionism presents masterpieces of Impressionism from the personal collection of its founder Boris Mints. 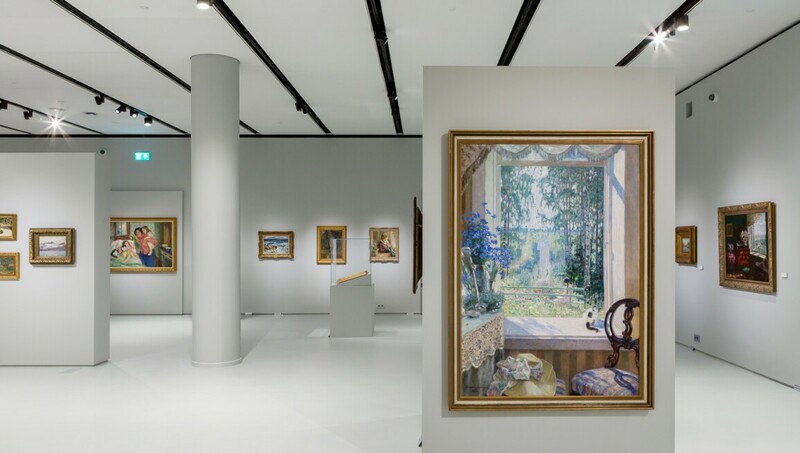 The permanent exhibition features more than 70 works by artists such as Konstantin Korovin, Igor Grabar, Konstantin Yuon, Petr Konchalovsky, Yuri Pimenov, Boris Kustodiev and Valentin Serov. The building, restored by British architects John McAslan + Partners, boasts a cinema theatre, teaching studio, bookshop and a contemporary multimedia zone, as well as temporary exhibition space.